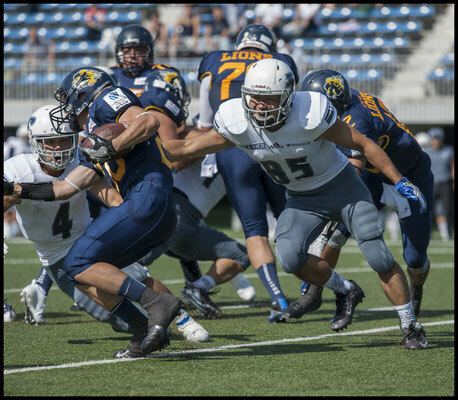 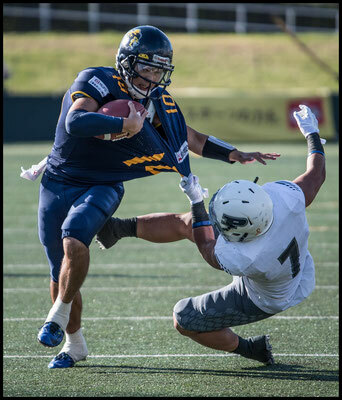 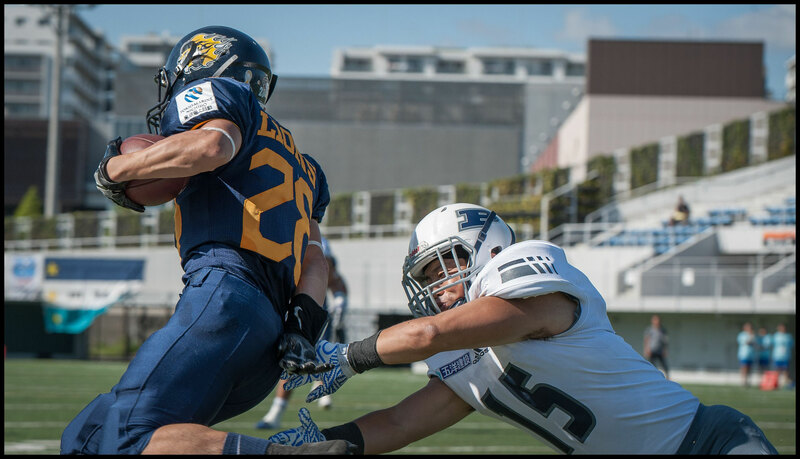 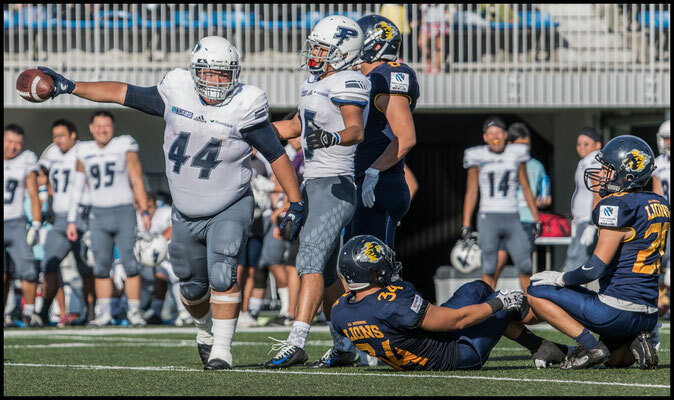 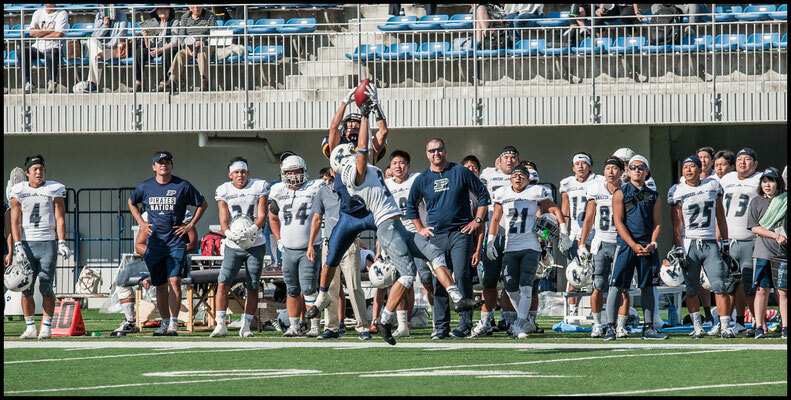 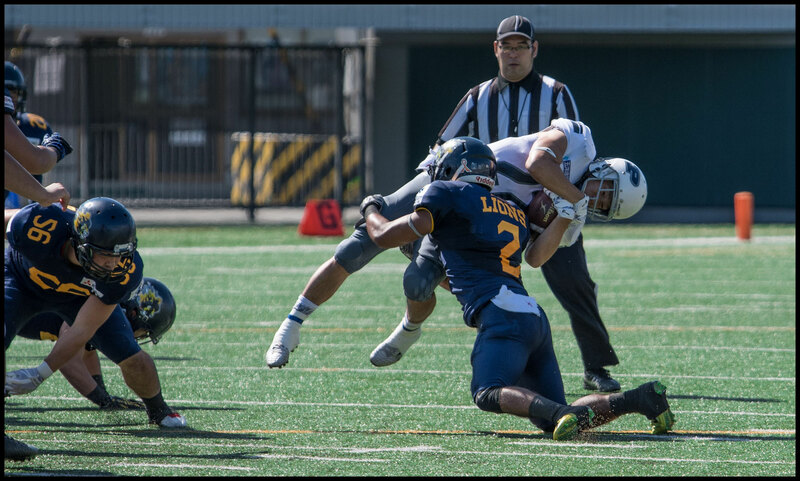 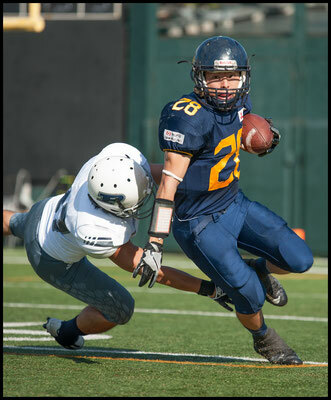 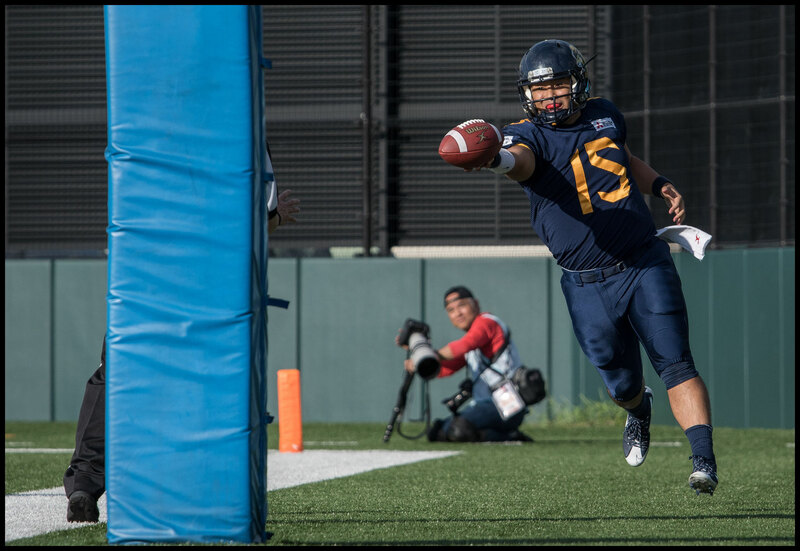 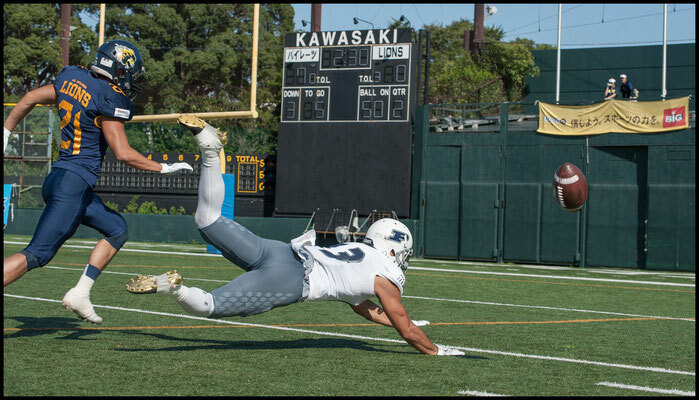 Quarterback Shoma Taniguichi scrambled 24 yards for a late TD that allowed All Mitsubishi Lions to steal a 14-13 victory from Meiji Yasuda Penta Ocean Pirates at a windswept Fujitsu stadium on Saturday. 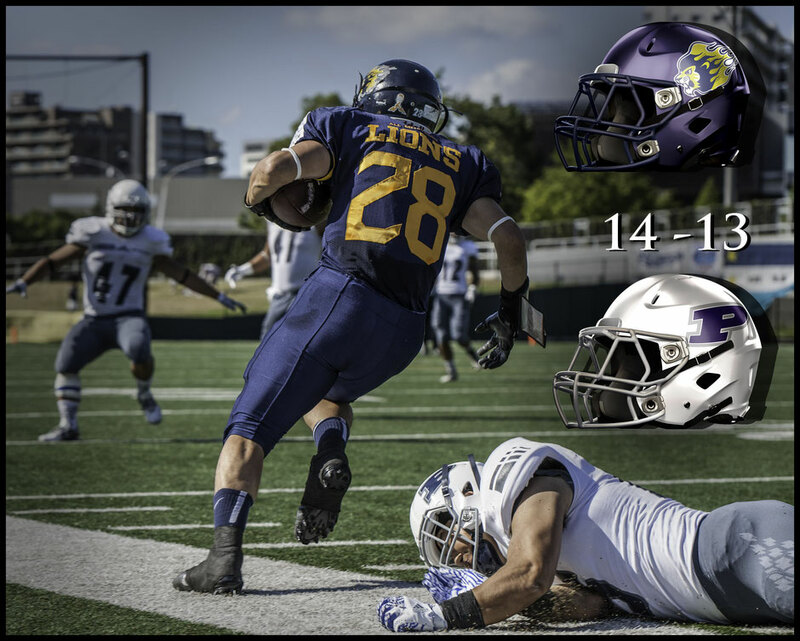 Though favoured coming into the contest the Lions had to play catch up all game against a Pirates team that came to play. 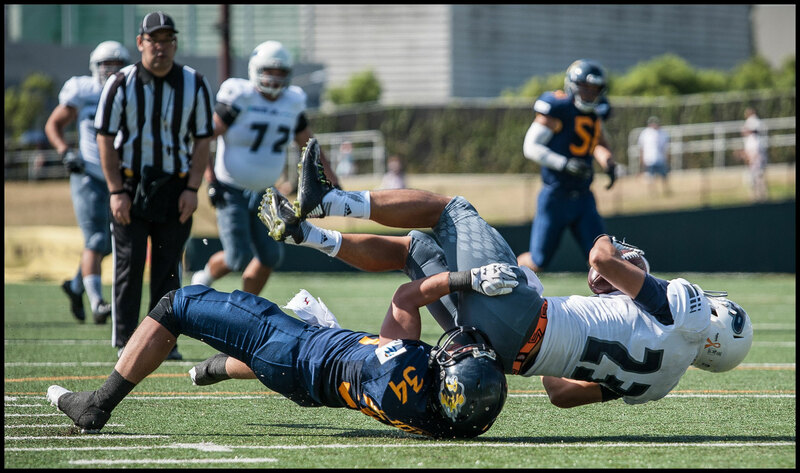 The two Battle 9 teams were evenly matched, producing a similar number of yards of offense both on the ground and in the air. 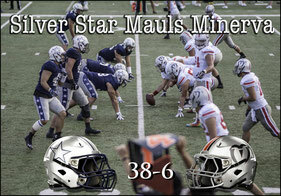 It was badly timed penalties and errors by the Pirates that made the difference at the end. 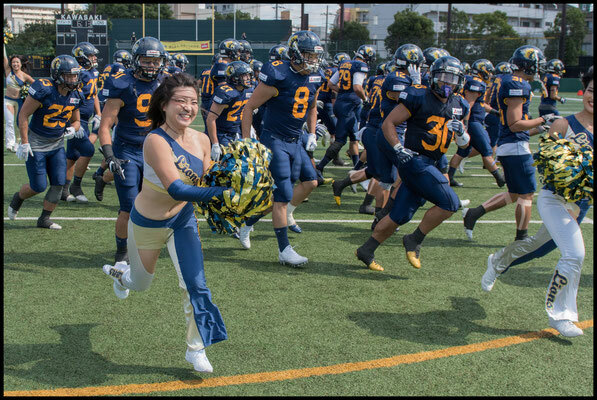 The game started out with pedestrian efforts by both teams. 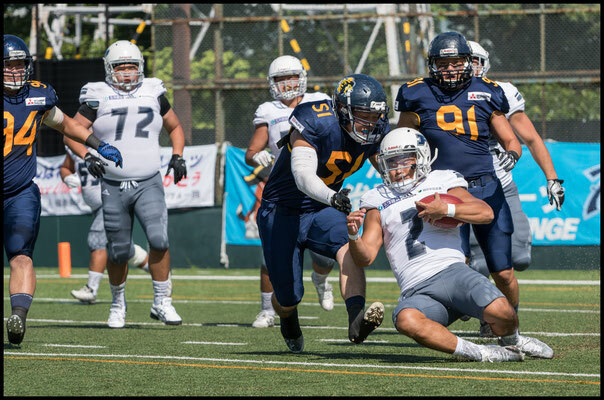 They largely punted the ball back and forth for the first quarter with one decent effort by the Pirates stymied by an unsportsmanlike conduct call that ended up killing the drive. 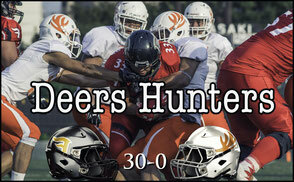 Neither team had anything to show for their efforts at the end of the first. 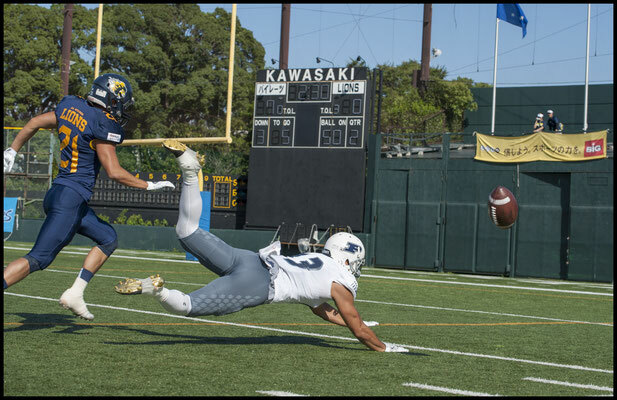 Things heated up at the tail end of that quarter however, when talented QB Ryosuke Nishizawa, who was 19 of 31 and 171 yards for the afternoon, led his team on an almost seven minute, 72 yard drive. The play to remember came when the Pirates had approached the red zone but were losing momentum. On a 3rd and 5 play, Nishizawa found TE Hiroyuki Akatsu for a short completion. 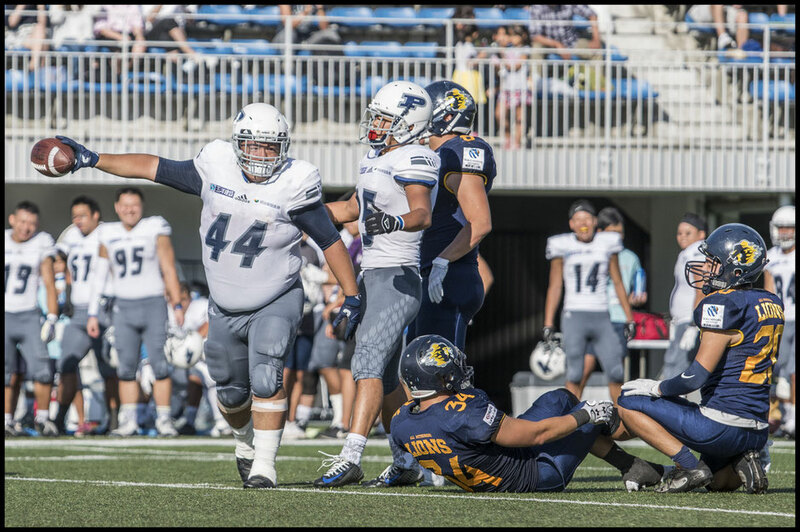 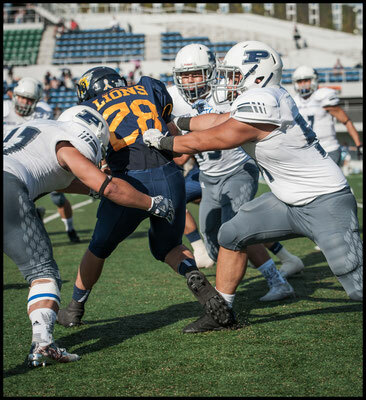 Akatsu, who looks like a defensive lineman that mistakenly wandered onto the field, rumbled for the few precious yards more that kept the drive alive. 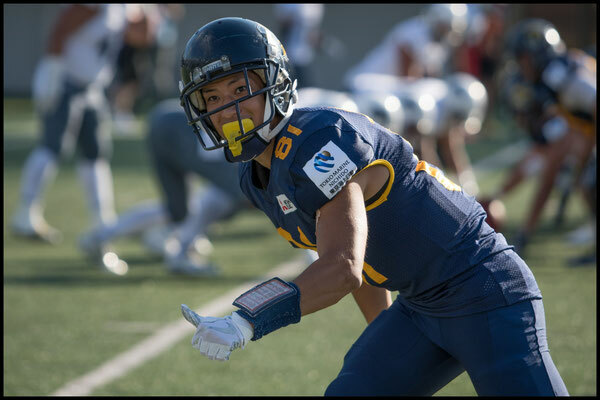 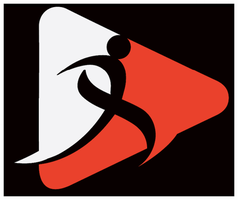 The drive would culminate in a scrambling touchdown pass from Nishizawa to wideout Kenichi Onuki across the width of the field to the left side of the end zone, that would only a count as a 5-yard pass in the stats. 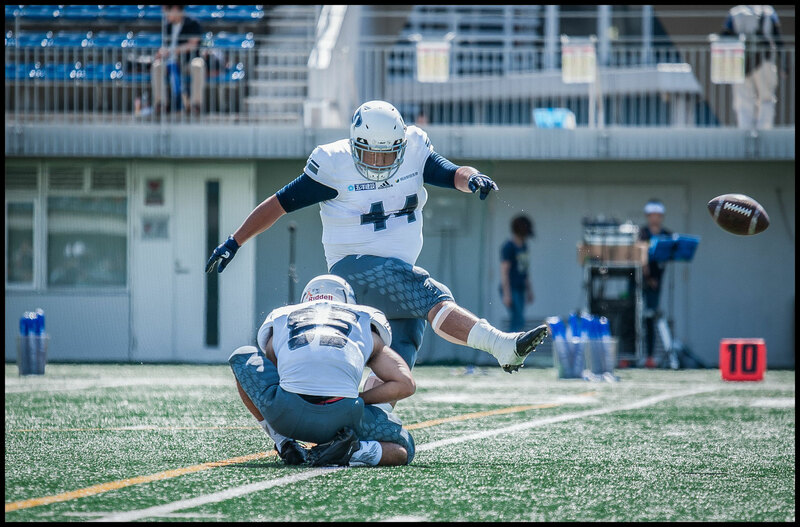 And who else would kick the PAT, but the incongruous Akatsu, who isn’t built anything like a kicker either. 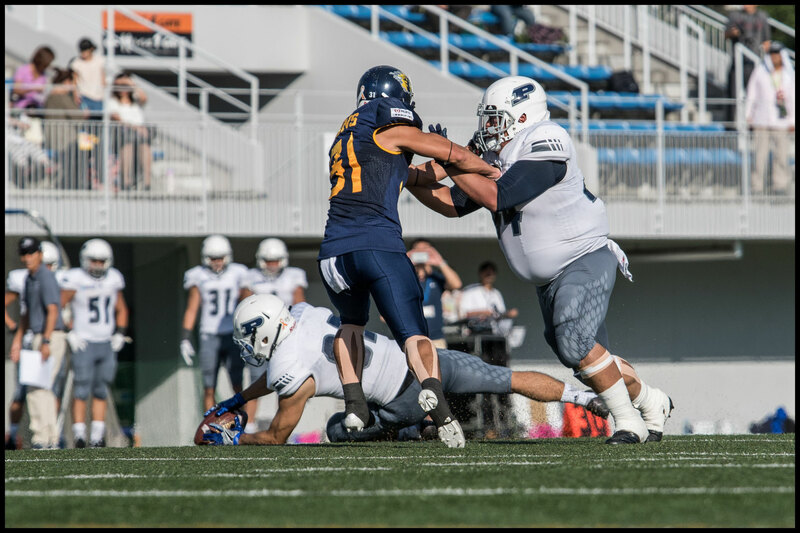 Number 44 was a consistent factor whenever a drive was losing energy, catching all five passes thrown to him, usually trudging ahead to get a few more for a total of 72 on the day. 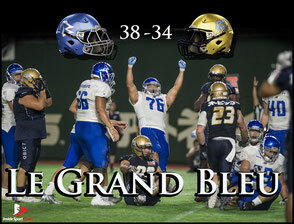 The Pirates got the ball back on their own 31 and were making steady progress until a personal foul then a delay of game penalty left them at one point at 3rd and 27. 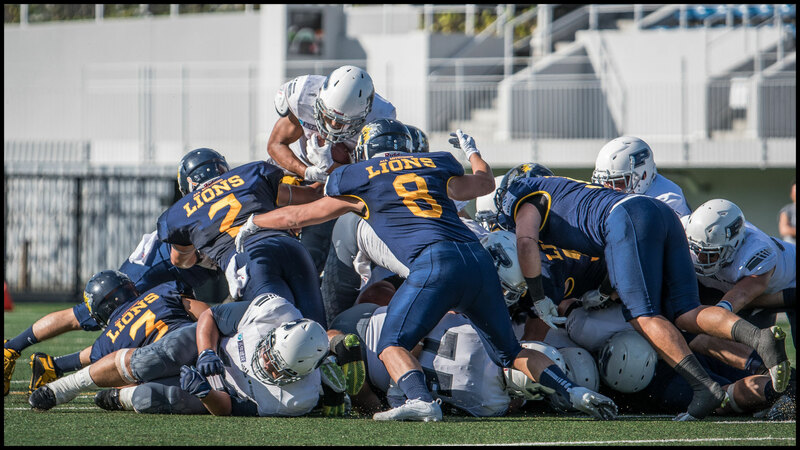 Though a roughing the kicker call against the Lions handed them a first down, they could not revive the flagging drive, and had to punt after three more downs. They would accomplish no more for the half. 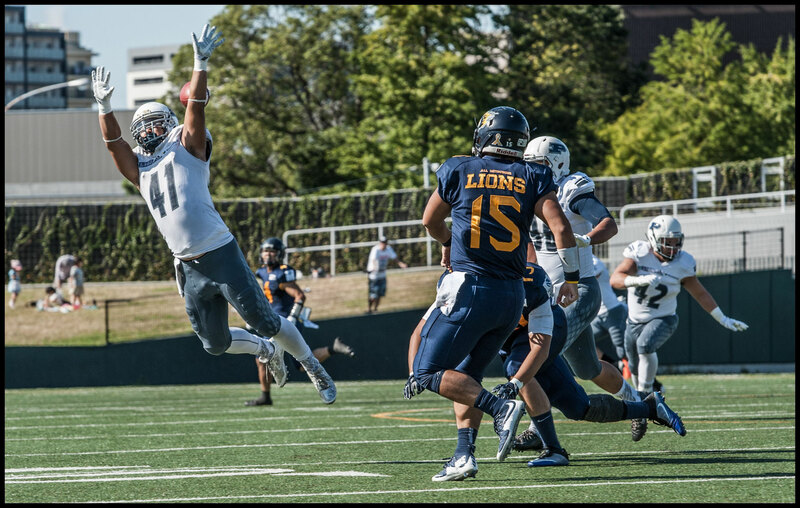 Lions starting QB (and also punter) Shoma Taniguchi, though often well protected in the pocket and never sacked, completed less than half his passes and was intercepted on the last drive of the first half. 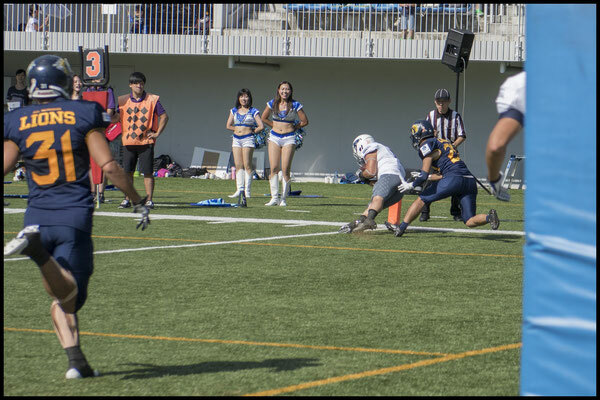 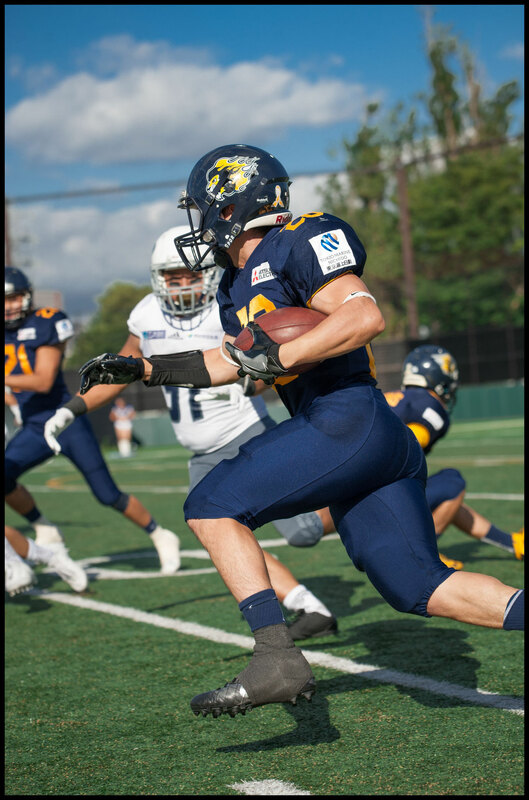 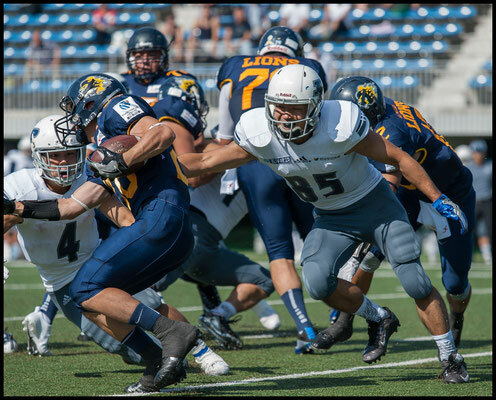 The bulk of his hand offs were to RB Makoto Hagihara, who rushed for 55 yards on 10 carries and was the team's main kickoff returner. 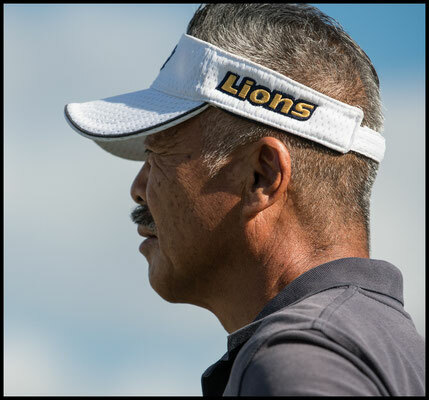 After the half, Lions head coach Akira Hayashi put in QB Kei Saito, who had trouble finding his legs at first, but on only the third play of the second drive, connected with WR Ken Sakamoto who caught the ball over the head of his defender and ran across midfield and to the end zone unimpeded for Mitsubishi’s first touchdown. 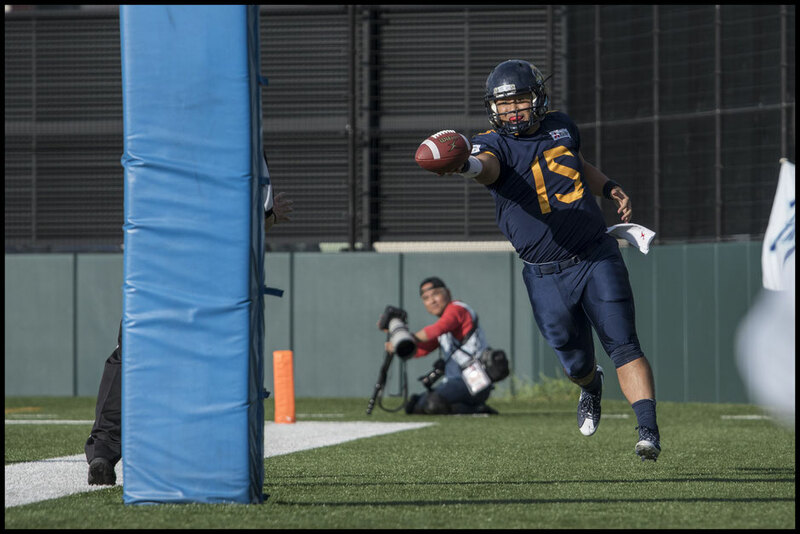 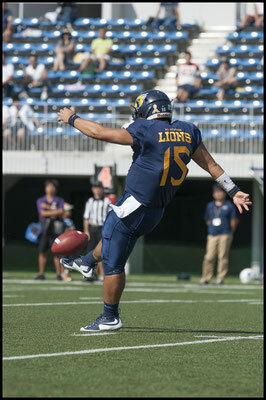 Near the end of the 3rd quarter, QB Saito tried a similar pass to WR Kota Wakabayashi, no. 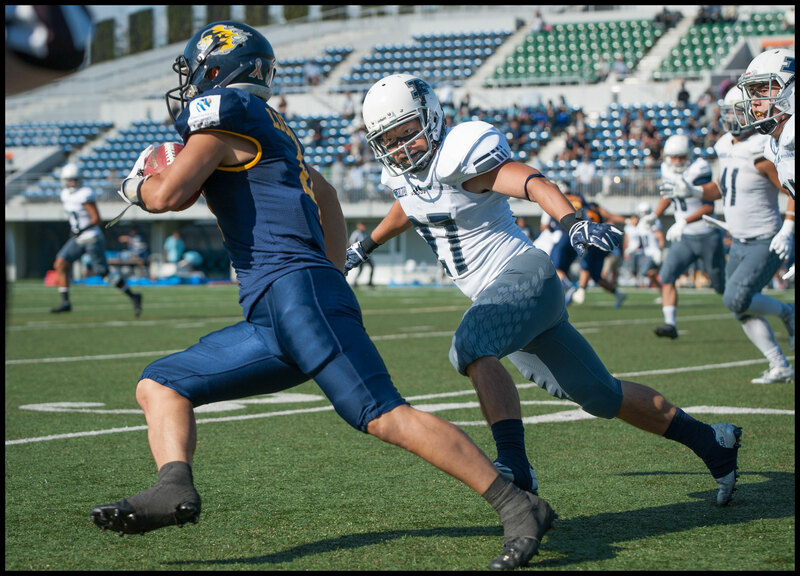 12 but Pirates DB, Tomoya Nagao, no. 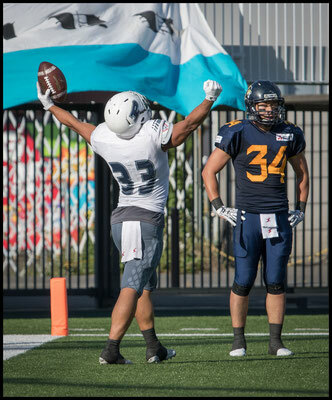 20, came from seemingly out of nowhere to shoot in between and picked the pass off. As they entered the fourth quarter, the Pirates drove the ball from their own 31, including two passes to the aforementioned TE, Akatsu. The play to end the drive was a beautiful pass from Nishizawa, who had plenty of time in the pocket, up the middle to RB Shinpei Wakashima, no. 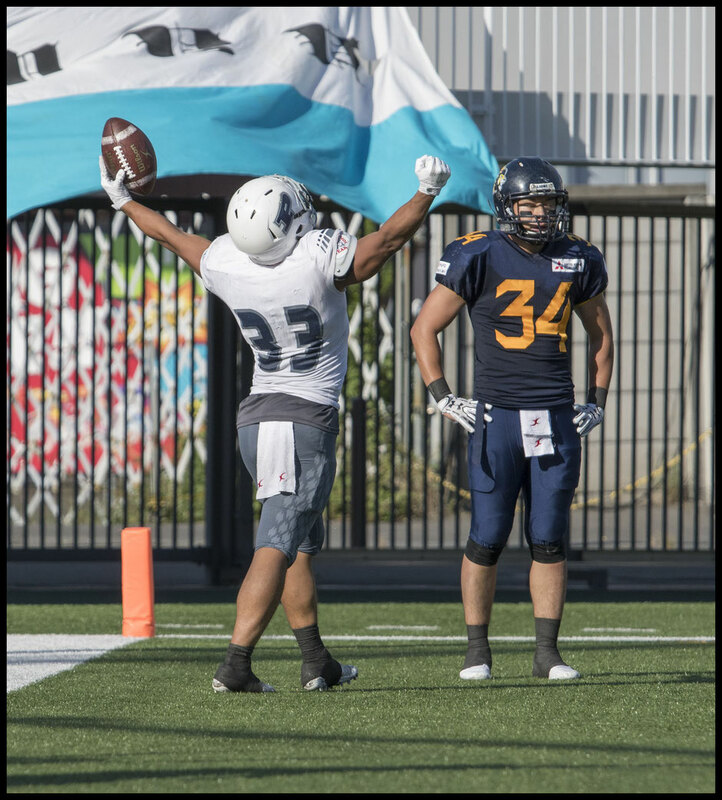 33, for a touchdown. A bad snap, however, would cost them the point after, and end up being the factor that would lose the game for them. Lions QB Taniguchi was brought back in for what would be the final scoring drive. After WR no. 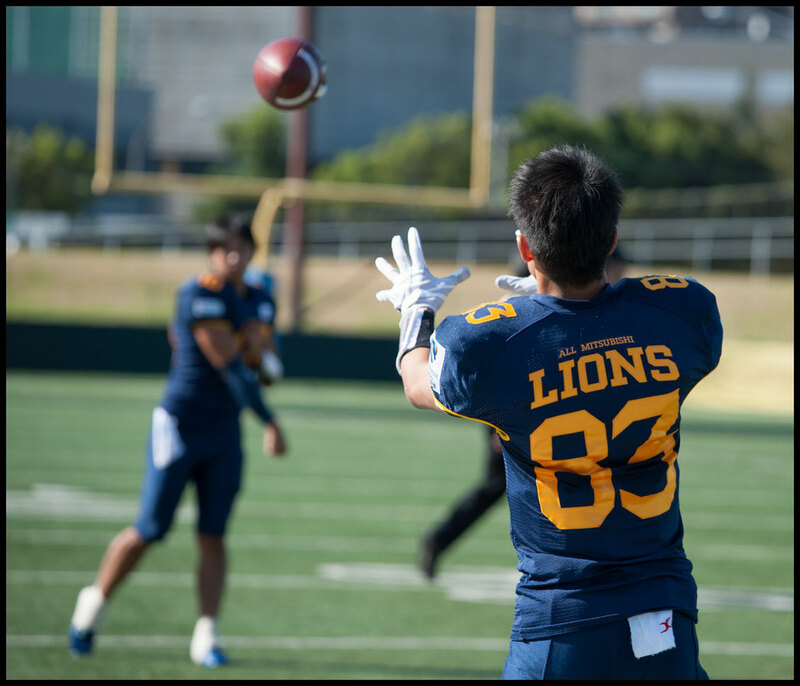 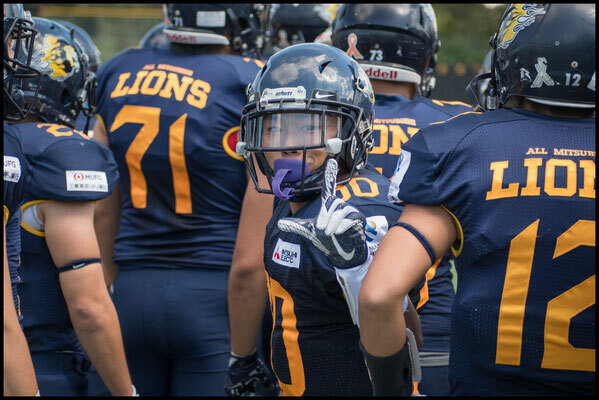 29, Yamano Dai was called for offensive pass interference, putting them at 3rd down and 19, Taniguchi and the Lions showed that they, unlike the Pirates on this day, could bounce back from a costly mistake. 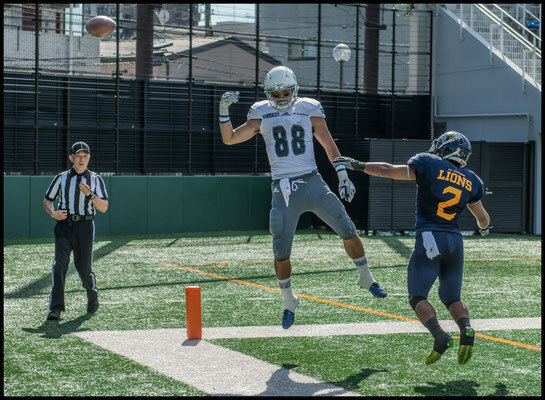 Taniguchi connected with WR no. 18, Akinori Tada for a 33-yard catch, Tada’s only of the night, to immediately regain the yardage and then some. 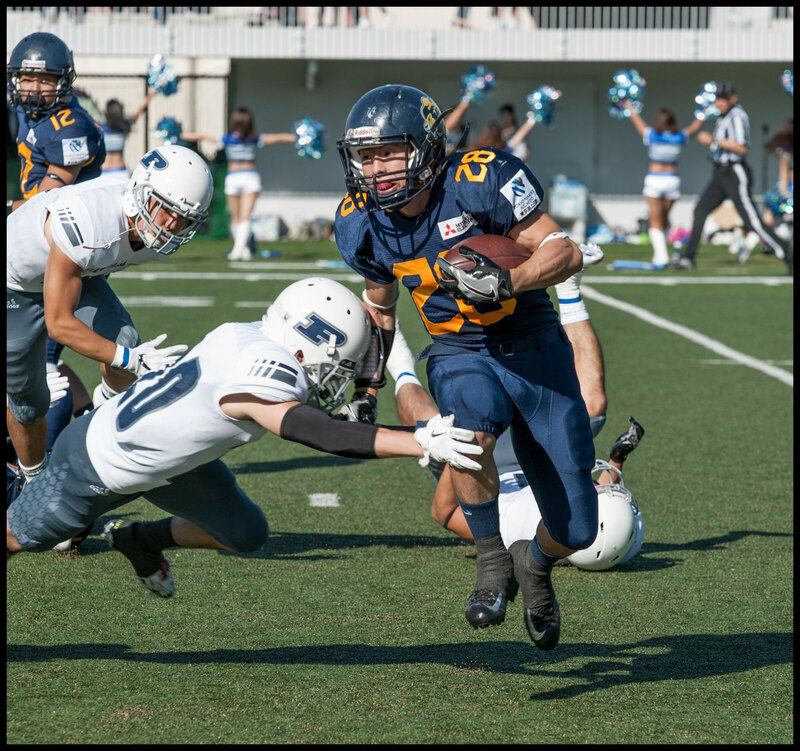 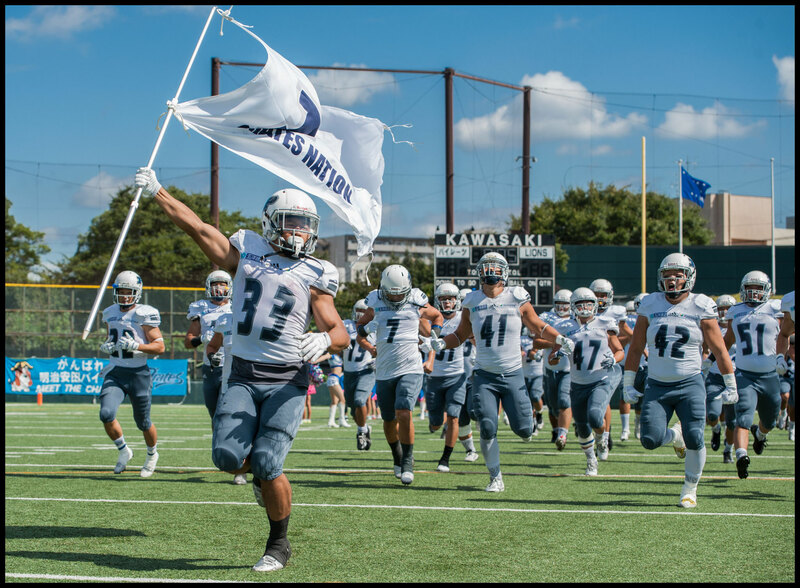 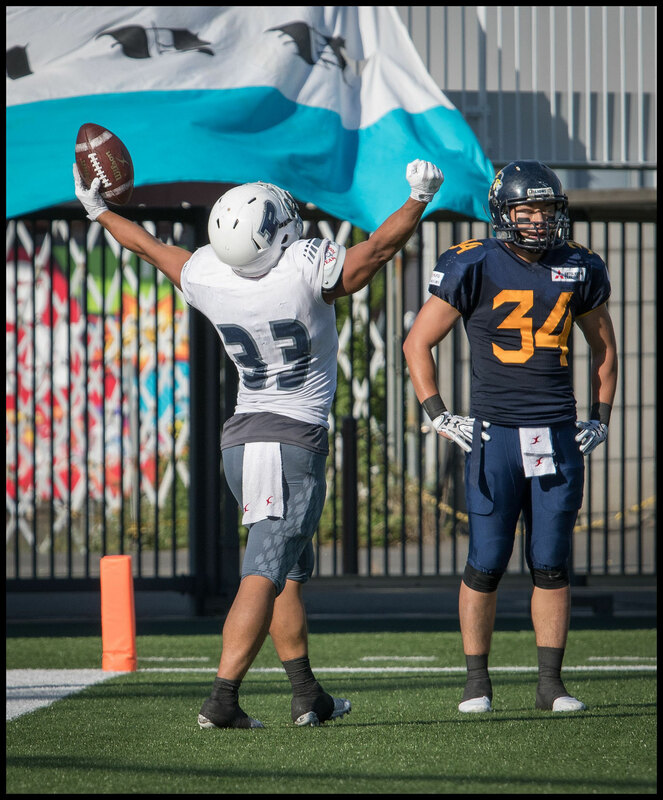 A few plays later, Taniguchi faked a hand off and ran the ball in himself for 24 yards and a touchdown with 1:45 left on the clock to clinch the game. 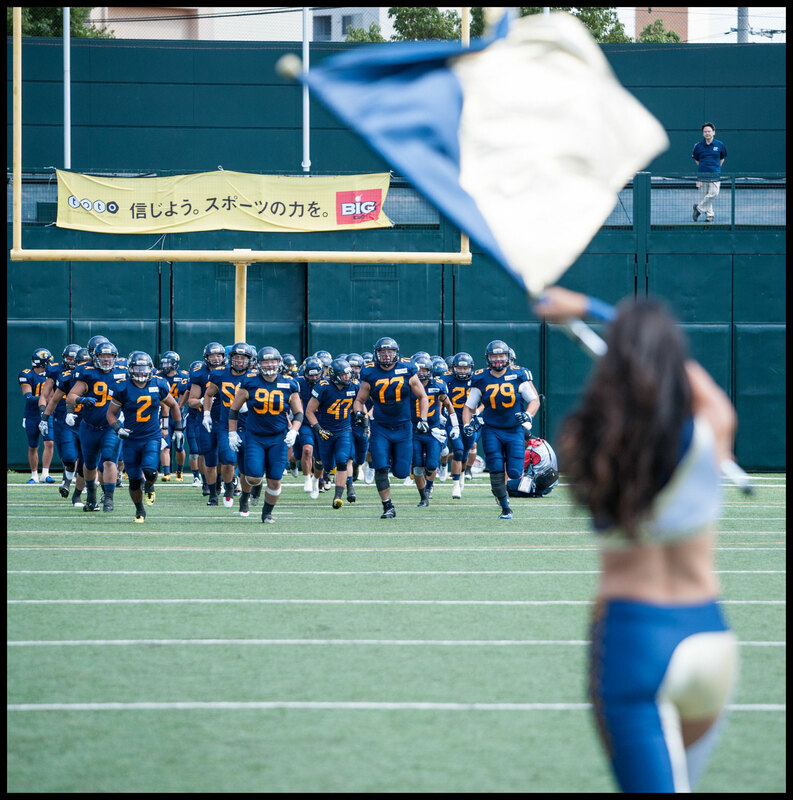 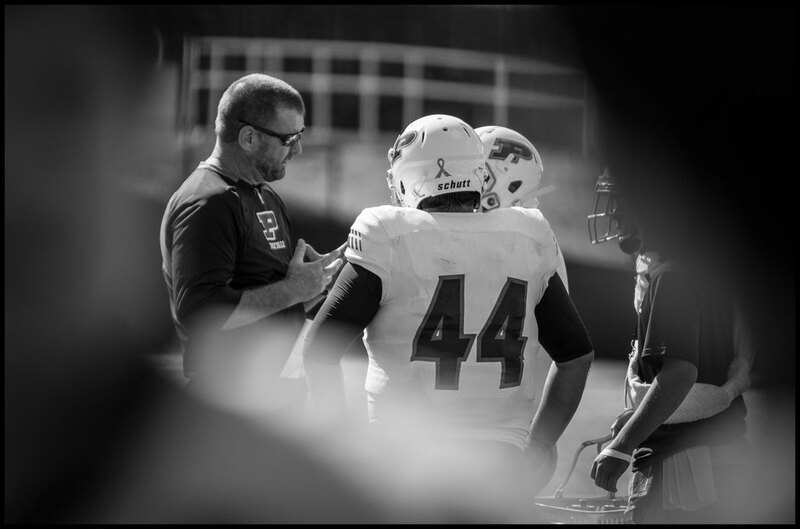 In a post game interview, Pirates head coach David Powroznik, long time veteran of American football in Japan, spoke of his regret at his team’s mistakes, as he felt his team at one point had the game in hand. 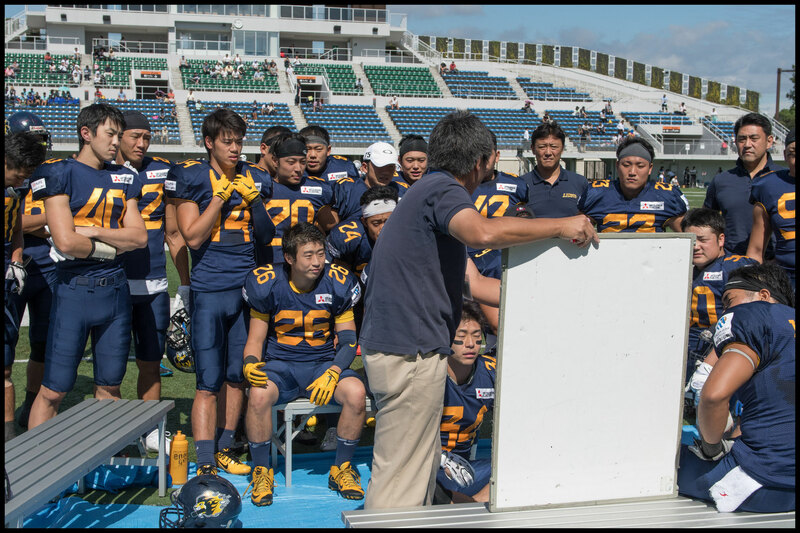 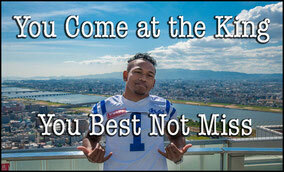 He praised his players though, specifically mentioning his QB Nishizawa and TE Akatsu. 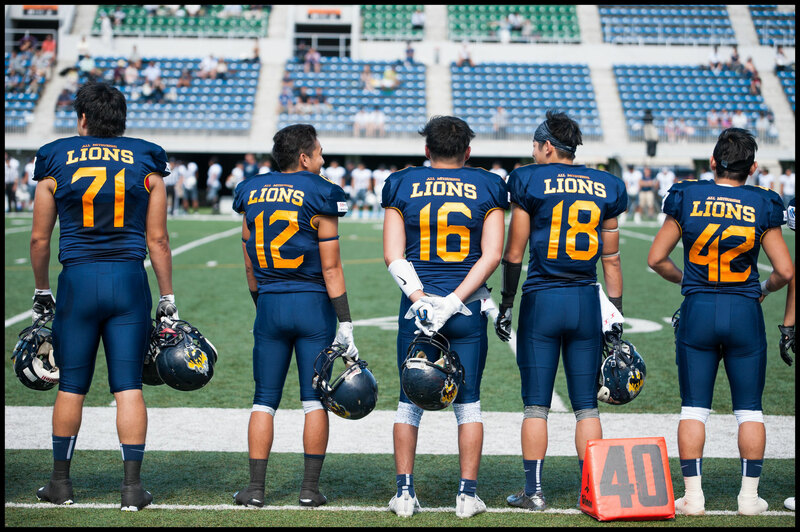 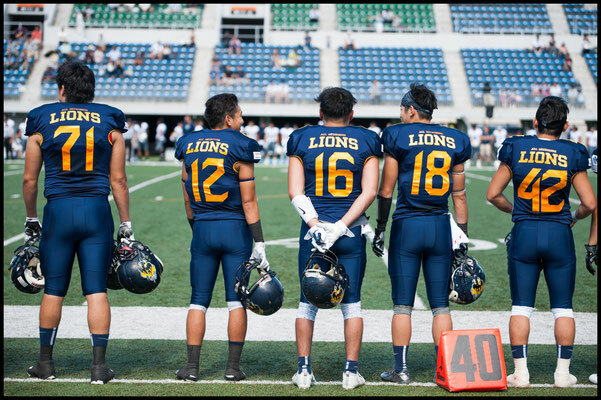 In their next game the Lions face fellow Battle 9 Bulls Football Club, who were 1-5 last year. 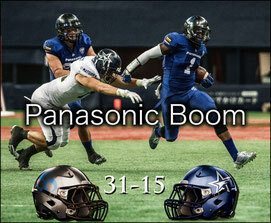 The Pirates must contend with IBM Big Blue who were close runners up for the championship in this spring’s Pearl Bowl.